Deploying and maintaining a complex human capital management system can be challenging when your resources are stretched. Pixentia Managed Services gives you worry-free end-to-end support so you can focus on your business. Pixentia's end to end SumTotal services ensure you achieve efficiency and productivity across your entire operation. 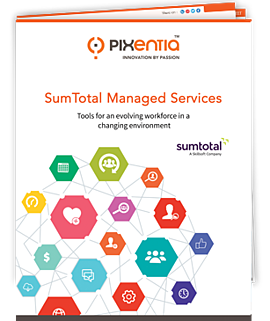 Complete the form on the right to download the Pixentia's datasheet on title "Sumtotal Managed Services".